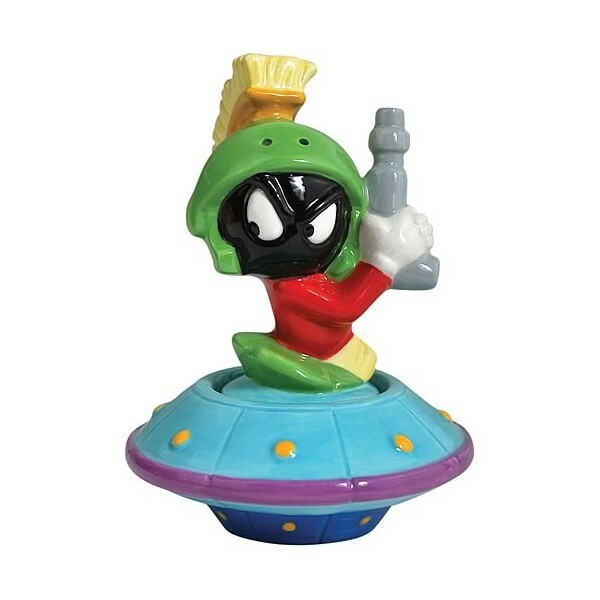 Add a little fun to your next meal with the Looney Tunes Marvin the Martian in Spaceship Salt and Pepper Set. These ceramic salt and pepper shakers measure about 4 1/4-inches tall. Order yours before they fly away! 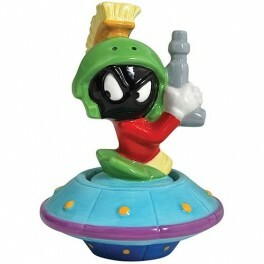 Size: 4 1/4-inches tall.